In the 1850s, gold fever swept the West, but people had to walk, sail, or ride horses for months on end to seek their fortune. The question of faster, safer transportation was posed by national leaders. But with 1,800 miles of seemingly impenetrable mountains, searing deserts, and endless plains between the Missouri River and San Francisco, could a transcontinental railroad be built? It seemed impossible. 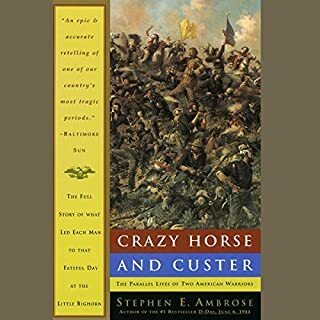 Reflecting on his career, Stephen E. Ambrose - one of the country's most influential historians - confronts America's failures and struggles as he explores both its moral and pragmatic triumphs. To America celebrates the men and women who invented the United States and made it exceptional. Taking a few swings at today's political correctness, Ambrose grapples with the country's historic sins of racism, its neglect and ill treatment of Native Americans, and its tragic errors. In building a railroad, there is only one decisive spot - the end of the track. Nothing like this great work had ever been seen in the world when the last spike - a golden one - was driven in Promontory Peak, Utah, in 1869, as the Central Pacific and Union Pacific tracks were joined. 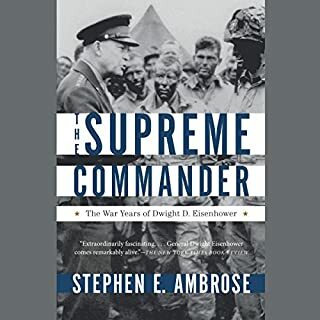 Ambrose writes with power and eloquence about the brave men - the famous and the unheralded, ordinary men doing the extraordinary - who accomplished the spectacular feat that made the continent into a nation. 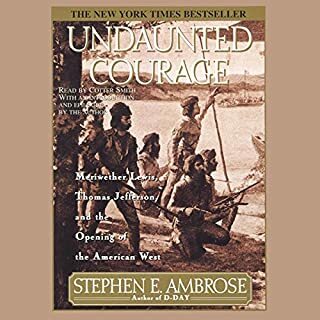 ©2000 Stephen E. Ambrose (P)2000 Simon & Schuster, Inc.
First of all, I think there was a change of narrators at some point, because my version was superb, while the narration offered in the sample on this page was as terrible as many earlier reviewers suggest. So, for the record, the narrator problem appears to have been fixed. Unfortunately, the basic flaws of story telling remain problematic. I've read many works by Ambrose and have adored them all. This book fell flat for me. Thud. Just when it seemed about to get interesting, it diverged into a morass of not-so-consequential tangents that were hard to endure. The book is good if you are interested in history, which I am. The building of the transcontinental railroad is described in detail. The problem is the narration and sound quality. The narrator speaks softly -- barely above a whisper -- and with very little energy. He does, however, speak naturally, which is a plus. His quiet delivery is made worse by the uneven audio quality. You have to turn the volume way up to hear him, and there is a noticeable hiss which can be maddening. The delivery does not do justice to an otherwise fine book. What could have been a truly fascinating book is, als ruined by the pairing of this narrator. The same man read Stephen King's Dreamcatcher, and was excellent, but this material and his style are a recipe for droning disaster. I love other books by this author, and am fascinated with railroad lore, but this was a trial to endure. Imagine endless shopping lists being read by a calm, even tone...it was a tragedy. One notable exception in otherwise excellent work from both the author and narrator. 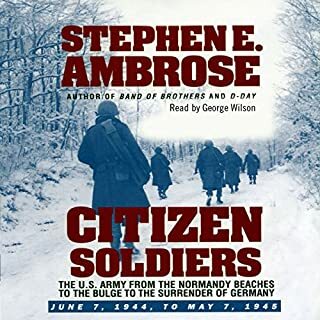 I have heard several of the Ambrose books and liked them; however, the narrator ruined this book. I found him boring and even worse ? hard to hear and understand. 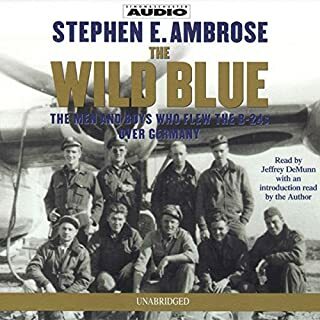 This is a wonderful book, well researched by the renowned Stephen Ambrose. The reading or audio performance was outstanding--perfectly suited to the story--quiet, reflective, subtle. However, the content of the book was frequently redundant (as I have found in other Ambrose works) as the author repeats facts and points many times. I like Ambrose and his work--it is well researched and interesting. Moreover, Ambrose often makes salient observations that are historically significant in and of themselves. I just wish that he had written better. Ambrose did a great job of describing the premier engineering challenge of the nineteenth century. Building the railroad from Omaha to Sacramento with only hand tools is amazing by any standard. This book was so good I read it then listened to the unabridged audiobook. The politics and finance may be a bit tiresome for some but the adventure of the race to Promontory should make this a great read for anyone wanting a real understanding of American History. This railroad had as much to do with joining the country East to West as the Civil War did in joining it North to South. Arguably, this project had more to do with making the American nation than any other engineering achievement. 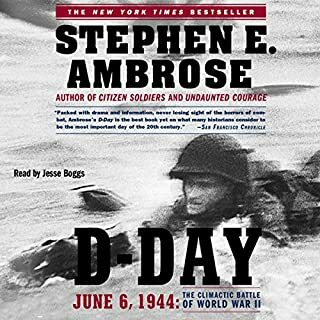 Like "Undaunted Courage," this is a very entertaining an interesting book which if very well-read for audio. Ambrose deserves great credit for making history entertaining. A must for anyone interested in 19th-Century American history. Reads fast, and entertaining, better than fiction, like all of Ambrose. A people's historian this is a man who knows how to make history fun. He gets human interest and writes with balance and never bores you, never bogs down in detail, but he does not forget facts and figures either. He has a catching sense of awe. The story is great and touches on all the players and angles, without casting shadows or judgements really. They're not saints, they're not devils, they are men, who cheated and stole and did giant things too. And the immigrants have their story. There are too many good episodes and haunting touches to recall, but the Chinese in the snow is something you never hear about elsewhere, and the details on the dynamite were familiar, but more deeply explored here than in any textbook I remember. I expect almost anyone will enjoy this, though perhaps skip the intro. That was done by the author, and his voice is shaky and hard to bear for as long as he goes. He was old, and I know not in good health when doing it. On the whole, I can't say enough how great it is to find a non-fiction book read like a novel. Why do these companies often hire anyone they can find who can go droning on in a monotone for days at a time to read history books like the dictionary? Do they think only boring people buy these? I don't want to think of myself as boring. 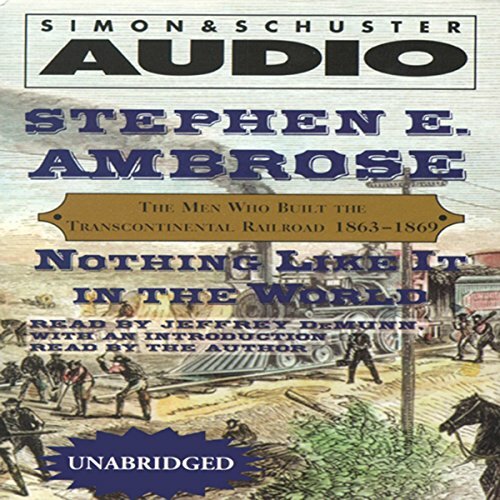 Another book of Ambrose's I read through audible was brutal at times due to a flat robotic voice, but this one shines. what a great recounting of one of the greatest physical accomplishments in American history. As a construction super and a farmer I have a different outlook on physical labor after reading this. ( no more complaining from me!) Makes one appreciate the easy life that we all enjoy. Was very interested in the political haggling that took place before construction began. highly recommended. I really liked Undaunted Courage but this book is really pretty boring overall. Great history, told at great pace. The author never attempts to hide his admiration for his subjects and this book is no exception. Their achievement leaves you breathless and S E Ambrose tells the story with pace and detail.